Share the story – Taurus superstar singers! See the top superstar singers born under the sign of the Bull including their placement of Mercury – which governs how we communicate, and Venus – how we express ourselves. Taurus rules the throat and is associated with Venus, the planet of grace, beauty and soothing sounds. Taureans are known for their relaxed manner, so crucial to a strong voice. The Moon expresses our emotions and is exalted in this sign. Planets in Taurus in a horoscope are ruled by the Moon through exaltation. This highlights the singer’s ability to express emotion and share their feelings. Winner of American Idol, singer Kelly Clarkson has a triple threat of Tauro – the Sun, Moon and Mercury in this zodiac sign. Singer Streisand has many planets in the Taurus constellation – the Sun, Mercury, Saturn and Uranus, and so has a terrific and somewhat unusual quality to her voice. Born April 25, 1917, Fitzgerald has a natal chart abundant with Tauro energy – the Sun, Mercury, Venus and Jupiter all in Taurus she not only had an incredible instrument, but consummate taste and a tremendous voice that remained strong well into her senior years. Ann Margaret (Sun, Moon, Venus, Jupiter, Saturn and Uranus in Taurus. Daughter of , Lily Allen was born May 2nd, 1985 with Venus and Mercury in Aries. The moon was passing through partnership lovin’ Libra, another Venusian–ruled sign with Taurus. 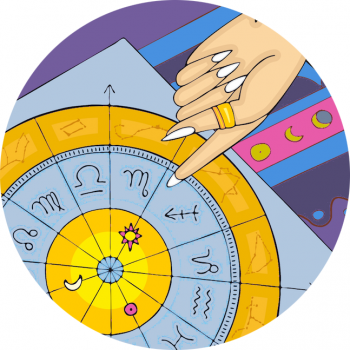 The singer has Mars in quick-witted Gemini, ensuring her words pack a punch! Born on May the 5the in 1942, we know Wynette was born at 1.20 am, giving her an Aquarius rising sign. The moon was passing through ambitious Capricorn, sun of course in fellow earth sign Taurus. The Mercury placement for Tammy is just in the sign of the Gemini, Venus in another mutable sign, Pisces. Adele has the Sun and Jupiter in Taurus. No one can deny that she not only has strong feelings but also – almost a literal translation of Jupiter in Taurus – a big voice. Born on the 20th May 1946 when the Sun and Mercury were riding through stable Taurus, Cher is a sensual singer with a rich set of vocal chords!